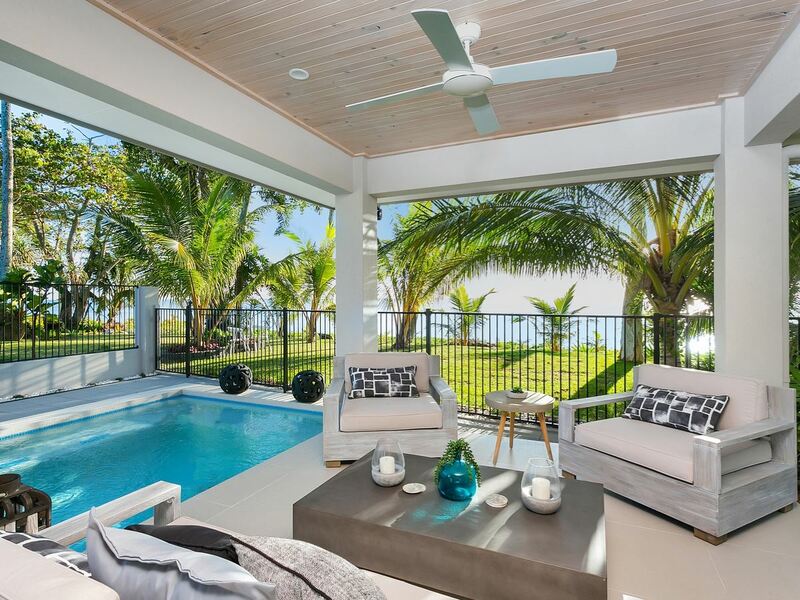 Perfectly poised only metres off the sand in Hibiscus Lane sits this magnificent master-built residence. 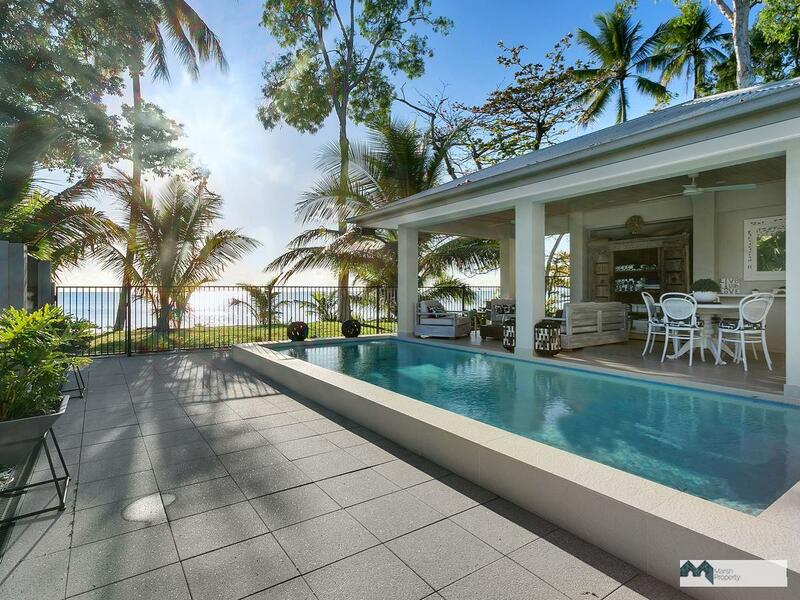 Sprawling over most of the 540m2 allotment and built over two levels, this home is "luxury personified", whilst retaining a relaxed tropical charm. 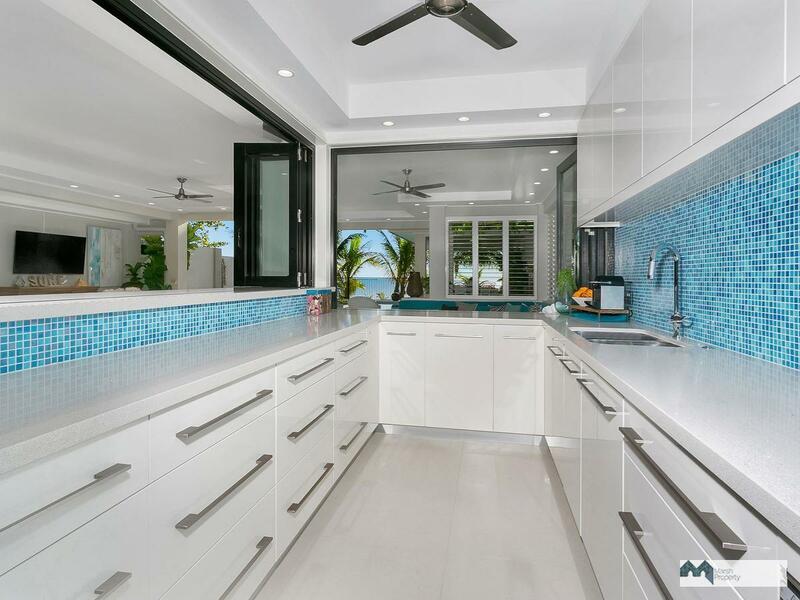 Entering through the private galley style walkway to the front door, you’ll discover bespoke craftsmanship at every glimpse. 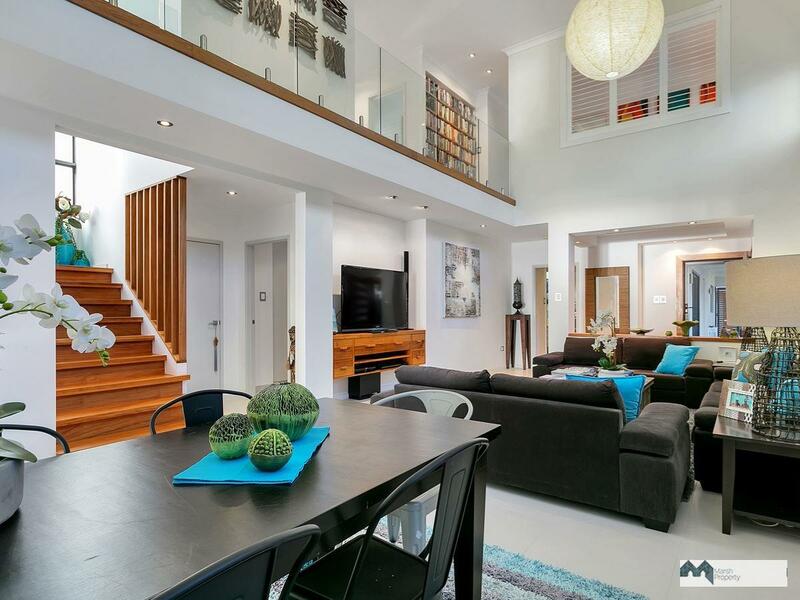 The home’s contemporary, central lounge with vaulted ceiling is overlooked from the glass sided mezzanine floor which is accessed via a stunning rosewood statement staircase. 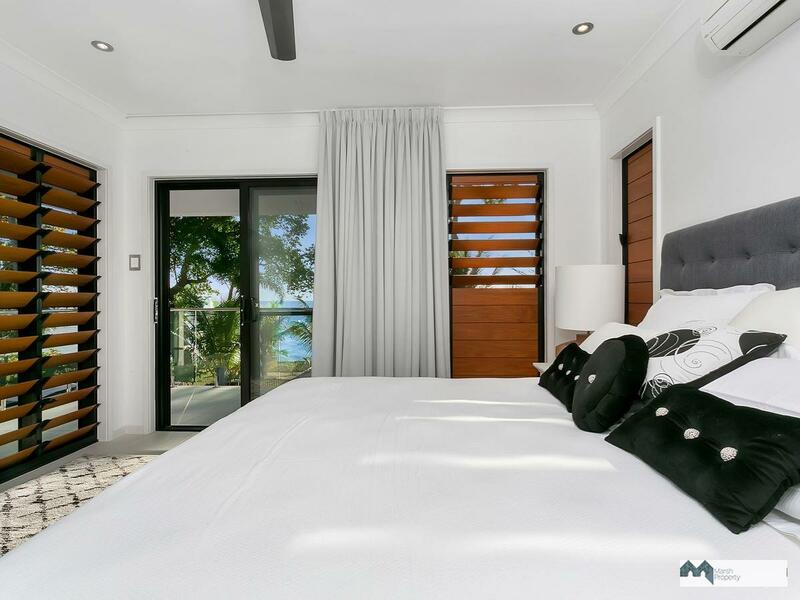 Upstairs accommodation includes four of the home's five bedrooms, two of which feature ensuites. 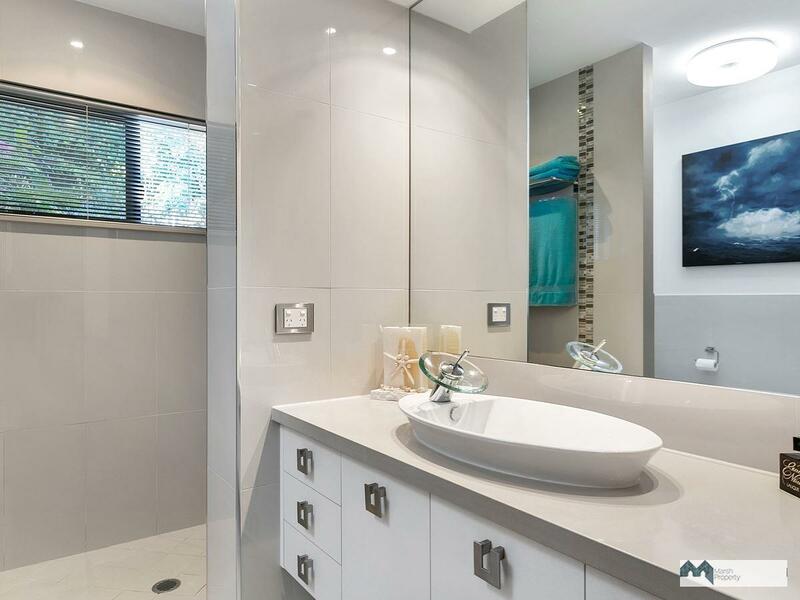 A third upstairs dual access bathroom offers additional amenity. 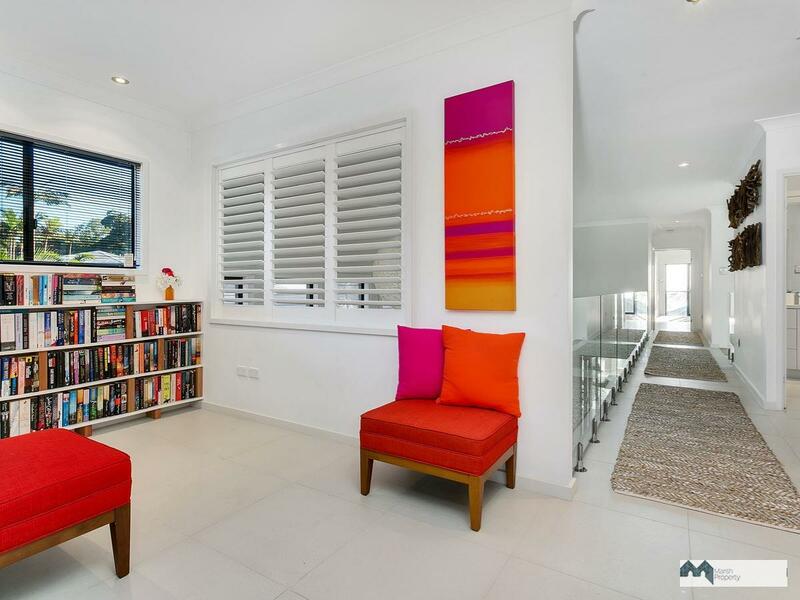 There is also a peaceful reading room / library on this level providing a space for quiet introspection. 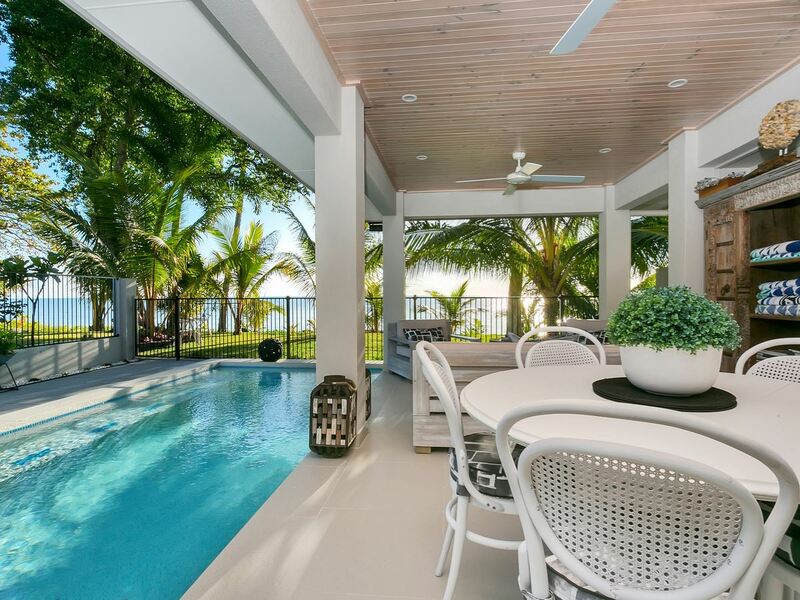 The seamless indoor/outdoor flow downstairs make entertaining an enticing prospect. 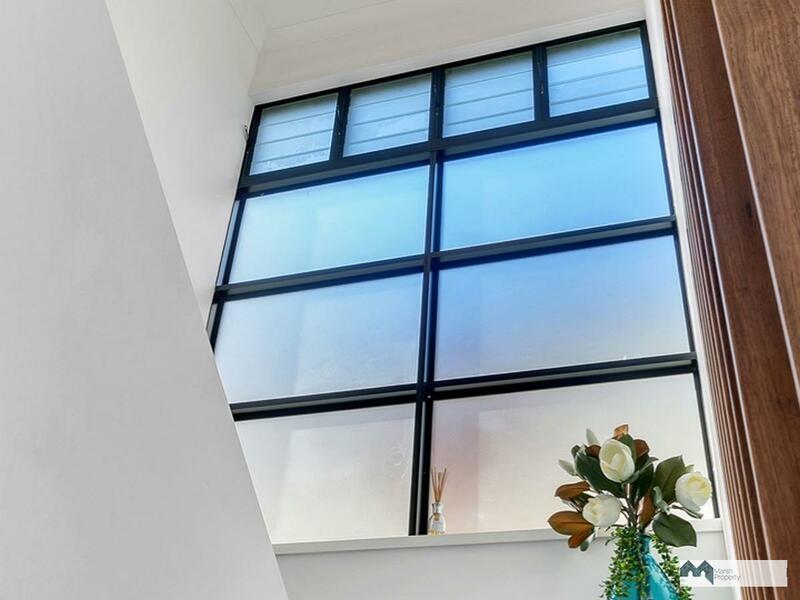 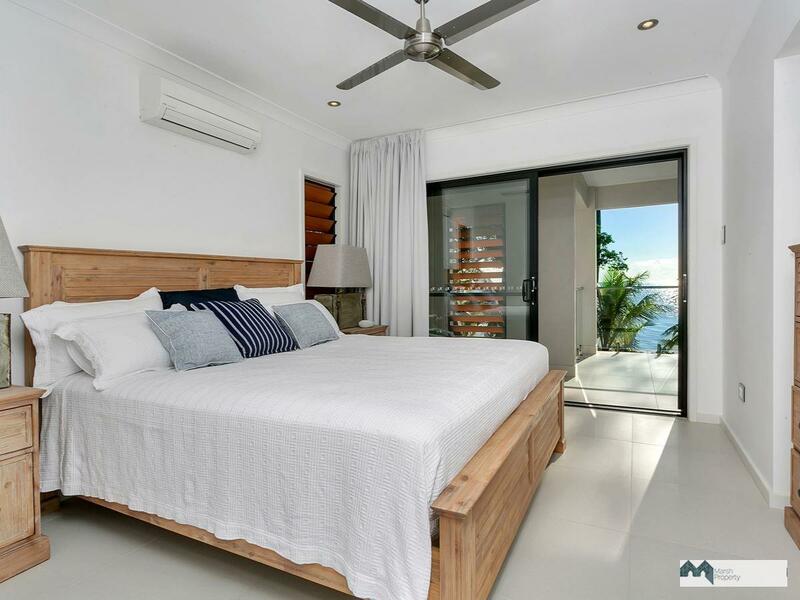 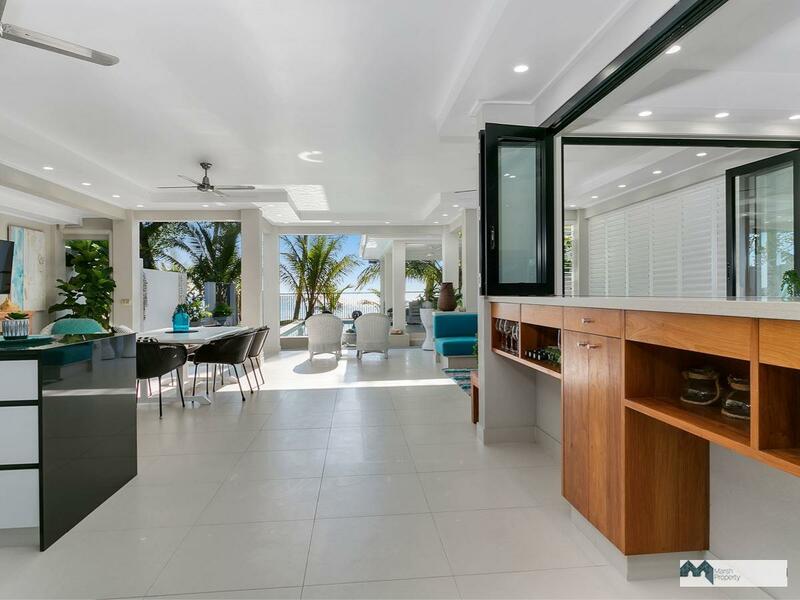 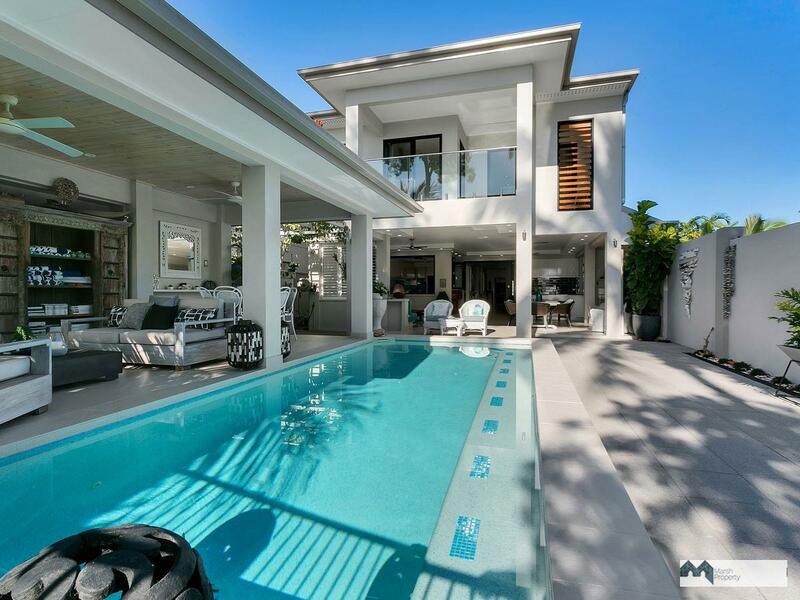 Industrial quality, glass bi-folding doors and windows connect to the choice of two outdoor lounge and dining decks over looking the stunning pool and the Coral Sea. 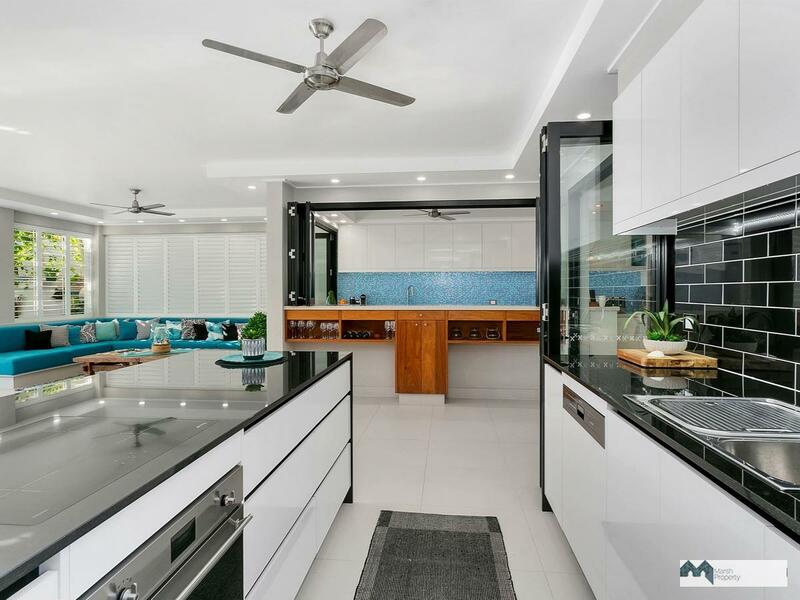 An indoor galley style kitchen opens on two sides and flows across to a full outdoor kitchen where gloss black subway tiles complement the black galaxy granite benches. 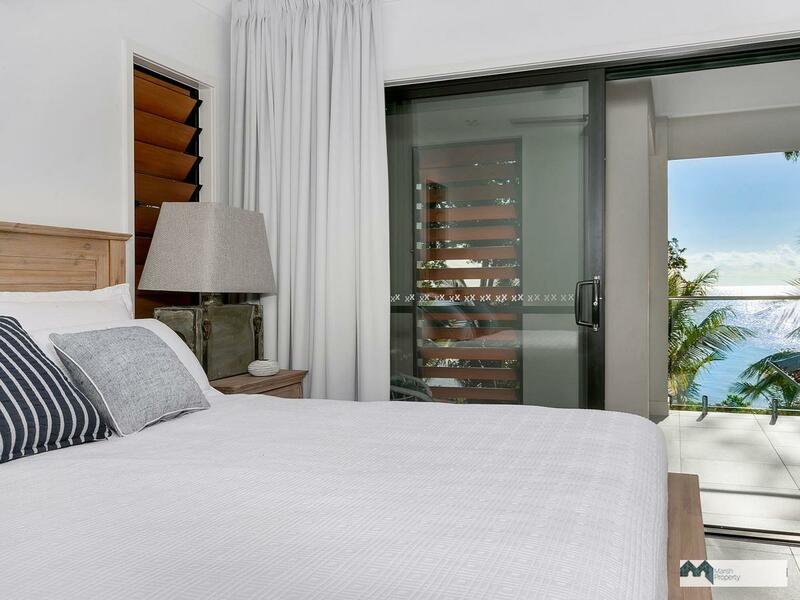 The ground floor also accommodates a very private and luxurious guest suite complete with a beautiful contemporary bathroom and walk in robe. 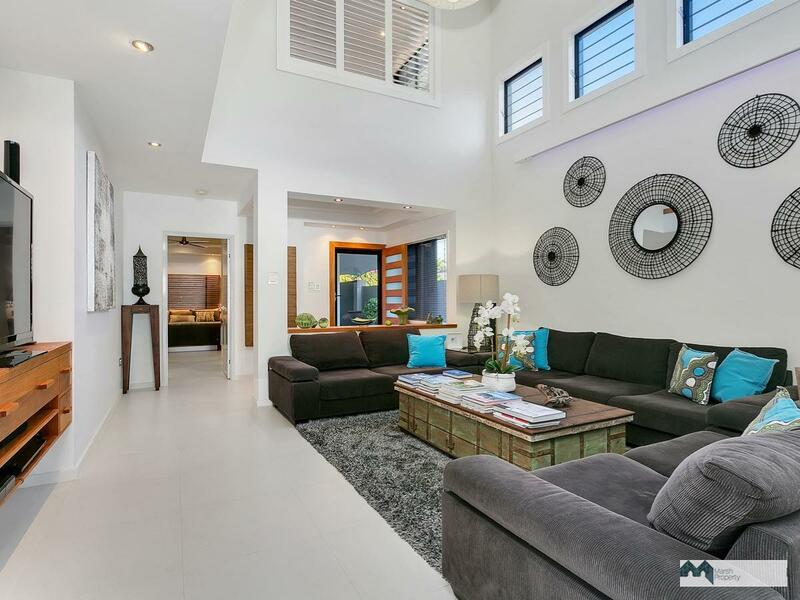 An oversized lock up double garage and workshop help to keep the home private from the street frontage. 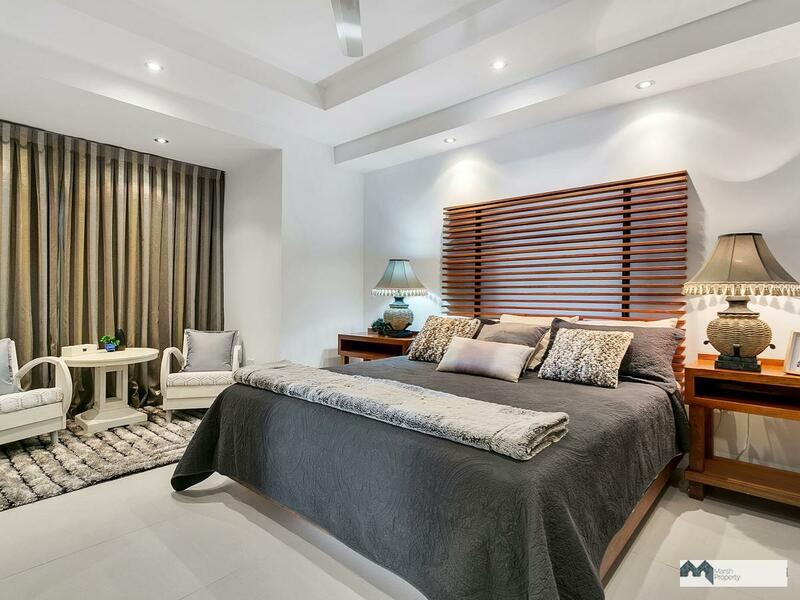 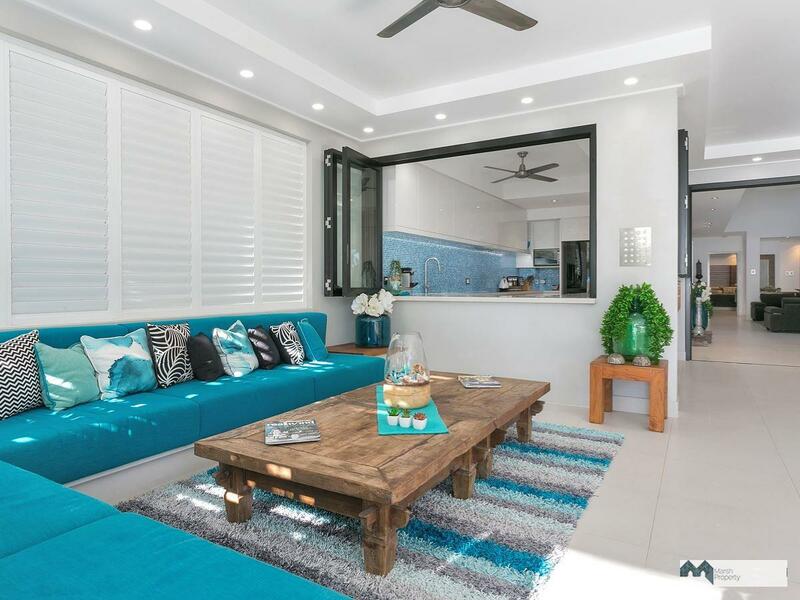 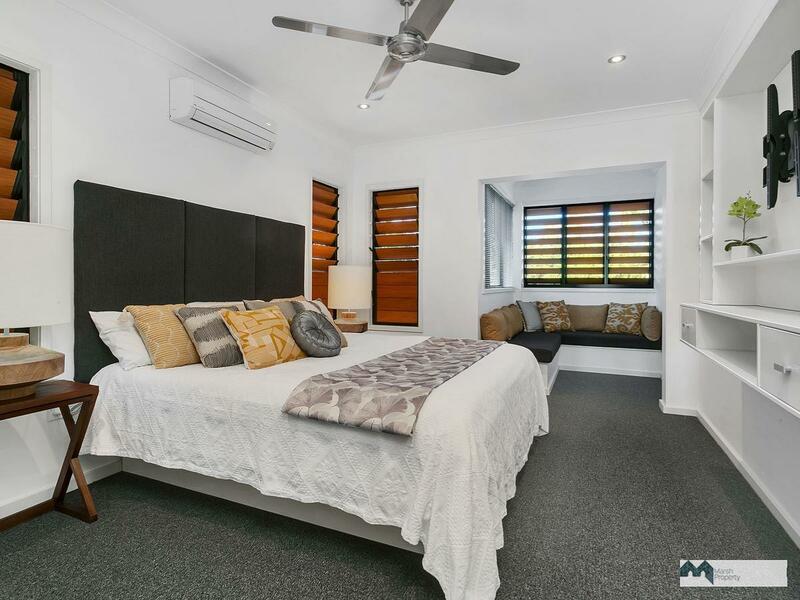 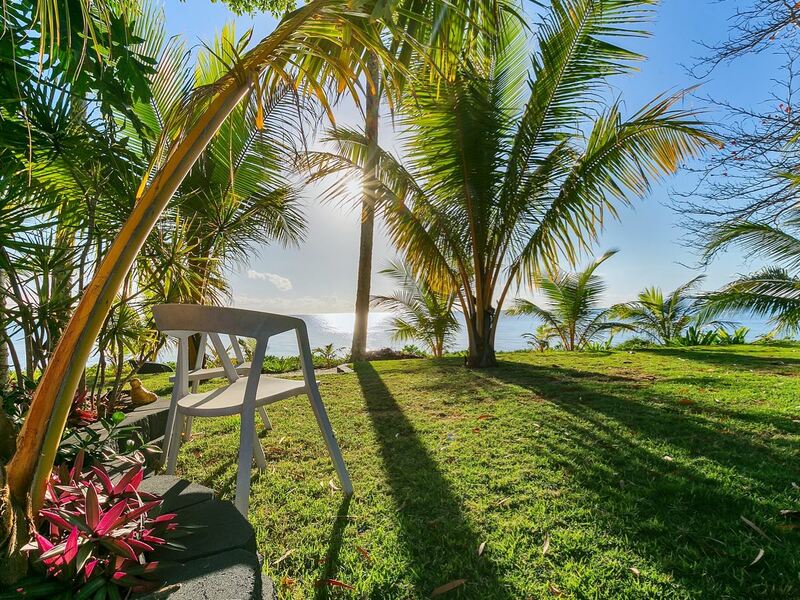 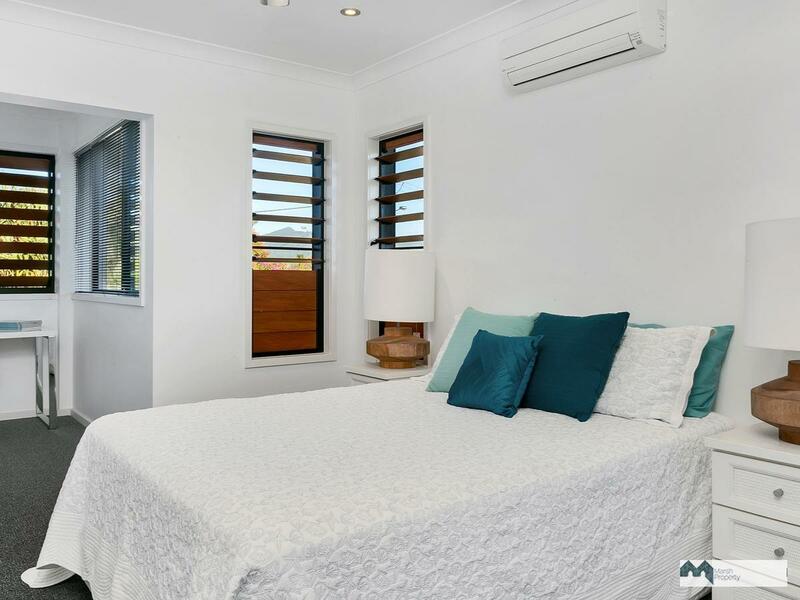 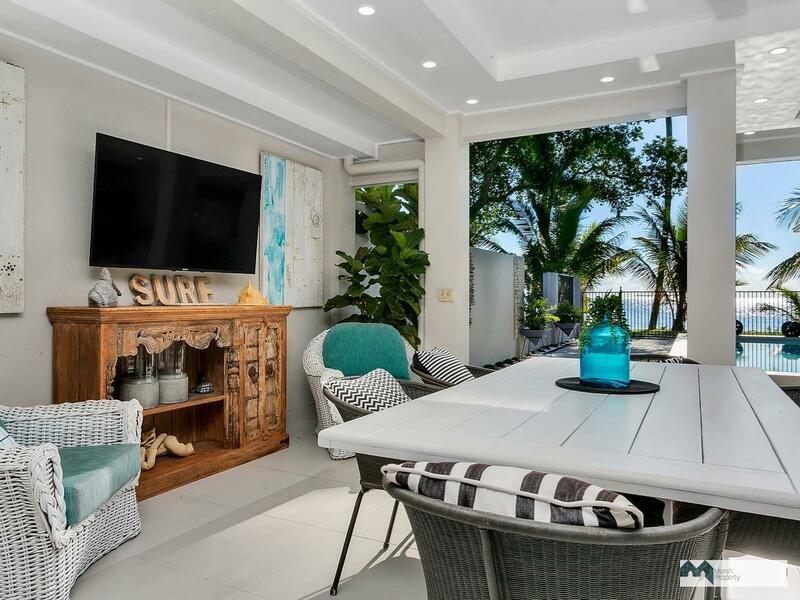 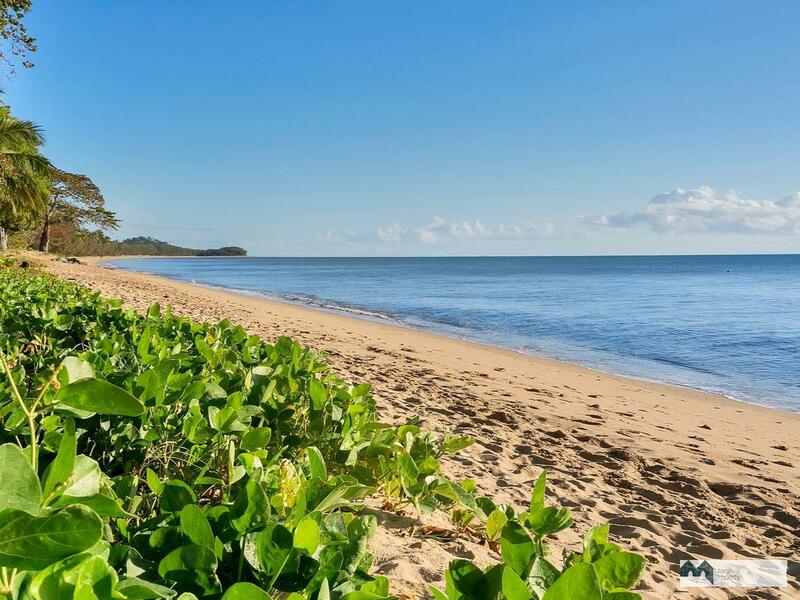 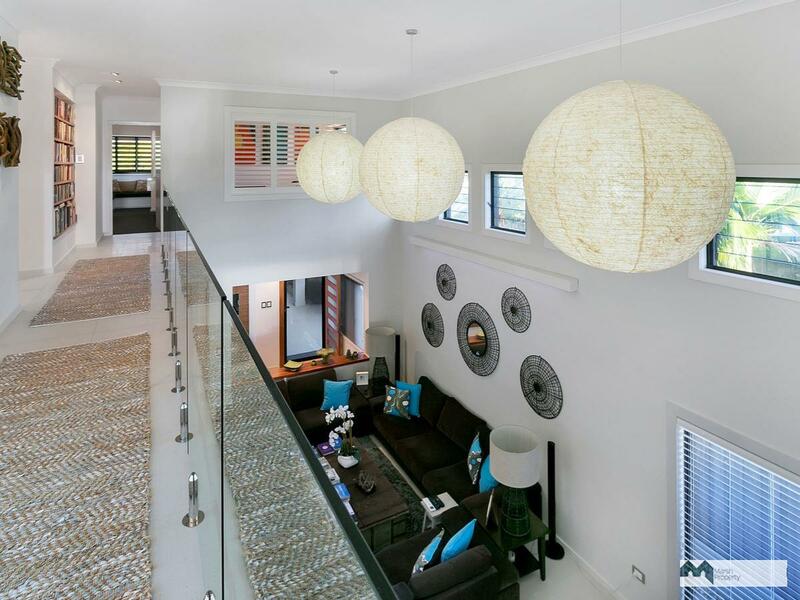 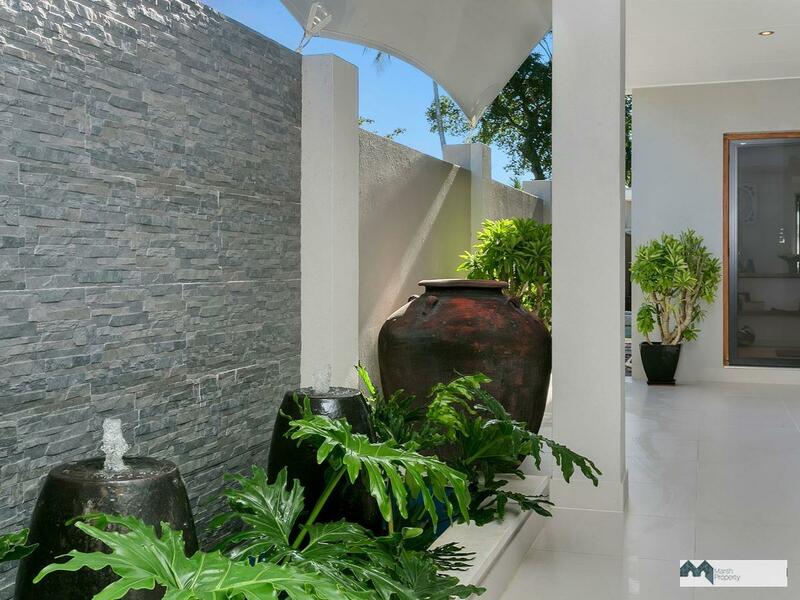 With direct private access to the sands of the Coral Sea across an easy care green lawn, this is a rare opportunity, in a highly-coveted locale, to own this superb family sized home, primed for the quintessential tropical beachfront lifestyle. 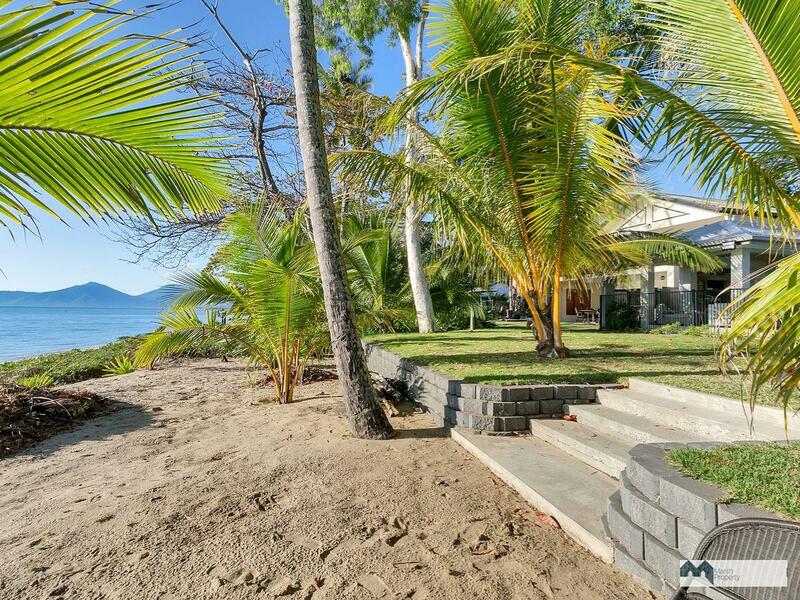 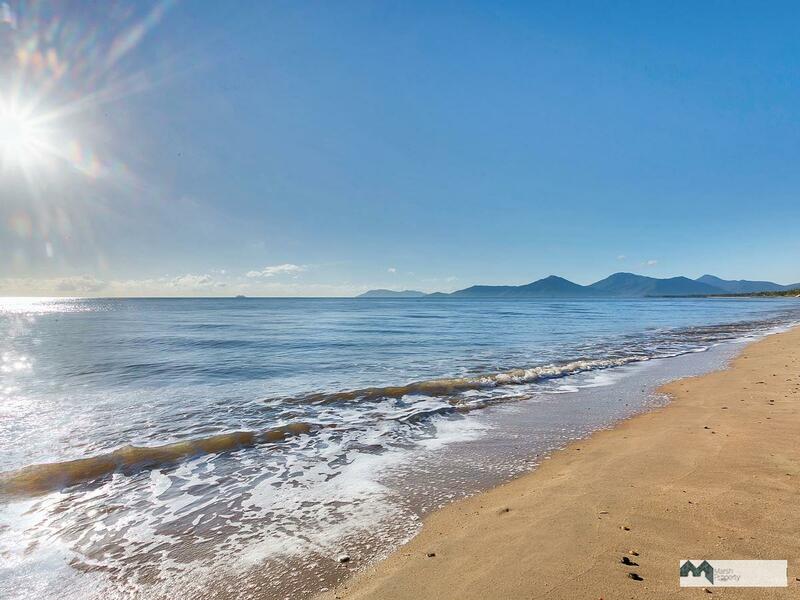 And all this is less than 15 minutes to the CBD of Cairns! 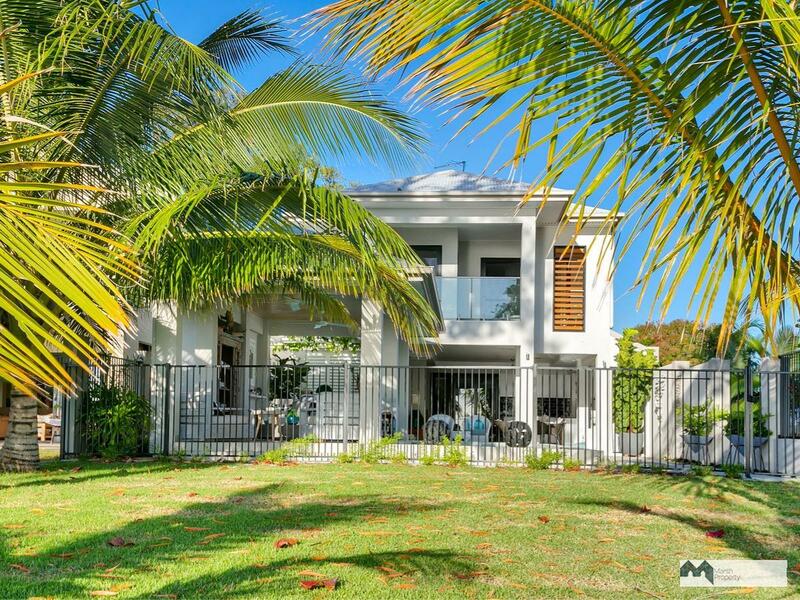 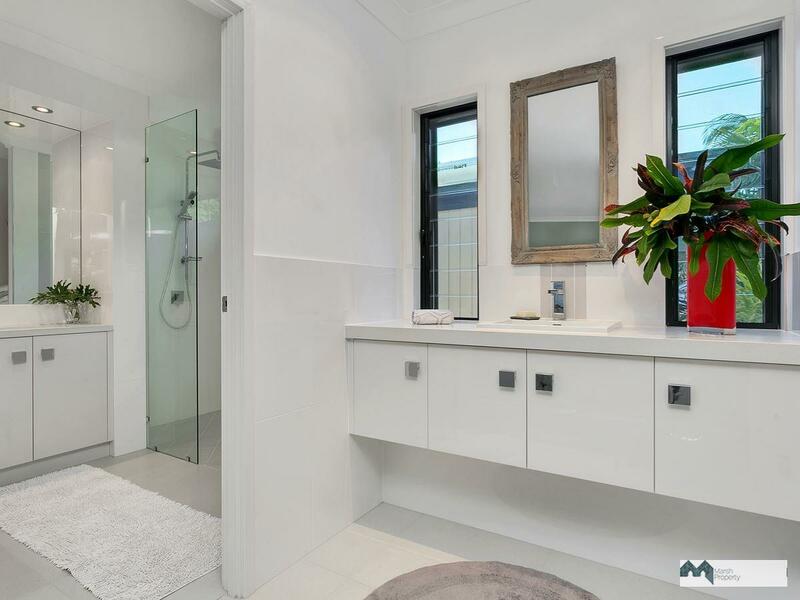 Qualified buyers over $2 Million are invited to contact Chris Marsh to arrange a private and confidential inspection.